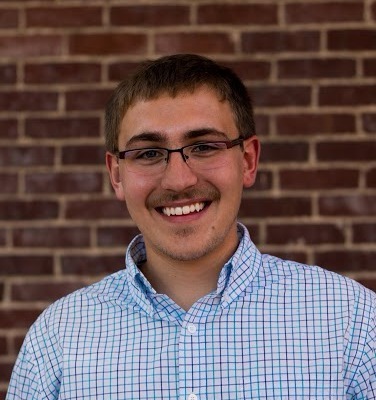 Michael Cotten, born May 15, 1994 grew up in Harrodsburg, Kentucky and holds a Bachelor’s of Music in Music Education from the University of Kentucky, where he studied with Dr. Jason Dovel, Joseph Baber, and Robert Jeter. Cotten is currently the Director of Bands at Hector Public Schools and was formerly the band director at R. A. Jones Middle School and La Salle High School in Cincinnati, Ohio. While at La Salle his group received numerous marching awards and a superior rating at the Ohio Large Group Assessment. Before this Mr. Cotten was an assistant educator with the Williamstown High School Band and worked with programs such as the Twenhofel Middle School Band and the Cincinnati Junior Youth Wind Ensemble at the University of Cincinnati College-Conservatory of Music. Avid as a composer, Cotten’s works have been performed at the International Trumpet Guild, Midwest International Band and Orchestra Conference, International Women’s Brass Conference, Kentucky and Ohio State Education Conference, National Trumpet Competition, and many more. Select groups that have played his music include the United States Army Band “Perhsing’s Own” Brass Quintet, Amazonas Philharmonia, St. Petersburg Orchestra, Cincinnati Junior Youth Wind Ensemble at the University of Cincinnati College-Conservatory of Music, and Fillmore Wind Band. Michael received the Cincinnati Warm 98.5 2018 Teacher Award and won the 2016 KMEA (Kentucky) College Composition Contest with his piece Wayfarer’s Hymn for six trumpets. In 2014 he received a Summer Undergraduate Research Grant from the University of Kentucky to study with composer Anthony Barfield at the Julliard School of Music in New York, New York. His research paper from the study was published in University of Kentucky research journal Kaleidoscope. Active in arranging for Marching Band Cotten’s arrangements have garnered many awards. His arrangements have helped marching bands achieve championships and finalist appearances in KMEA, MSBA, and Music For All (Bands of America). He has also arranged for the Western Illinois University Marching Leathernecks who performed an arrangement of his at the 2015 McDonald’s Thanksgiving Day Parade in Chicago. Active as trumpeter, Michael performed with the Fillmore Wind Band, Ohio Valley Big Band, Fillmore Chamber Winds, and Fillmore Philharmonic Brass.